sunset at San Juan Mountain Ranch, Ridgeway Colorado. A nice little home on the range nestled at the bottom of Dallas Mountain bathed in autumn splendor, on Last Dollar Road. 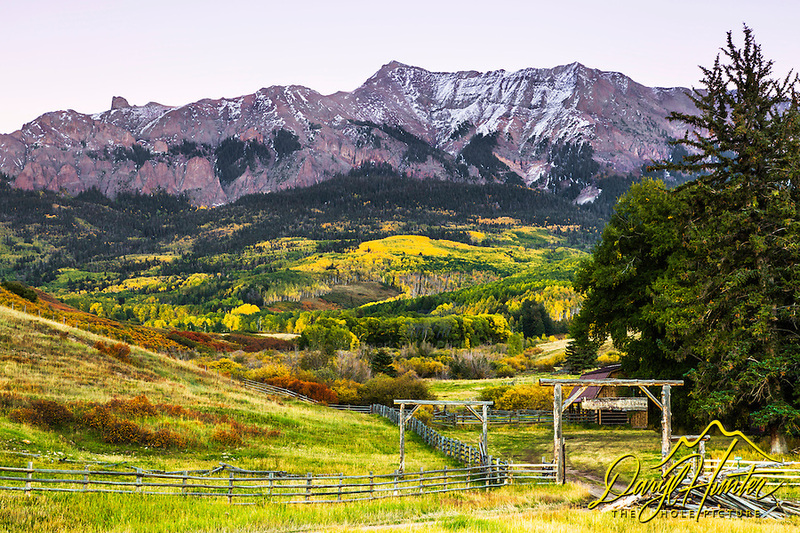 Last Dollar Road is a scenic backroad between Ridgeway and Telluride.